In Issue 2 the Financial Conduct Authority (FCA) published details about how they review financial promotions. 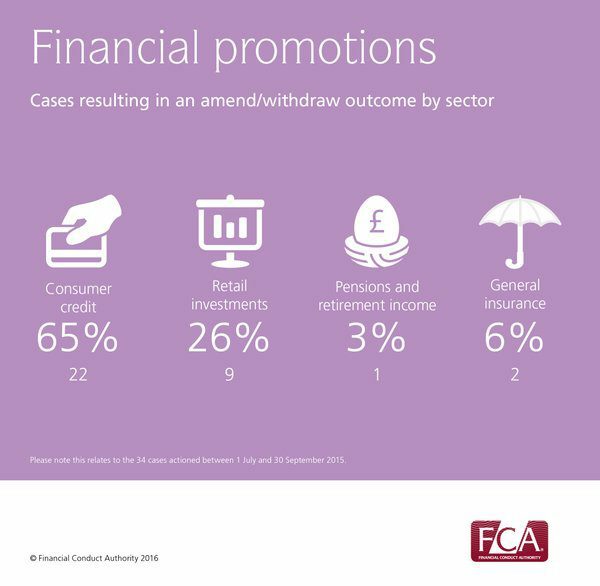 In issue 5 the FCA provide an update for 1 July to 30 September 2015, where the regulator reviewed 1,108 financial promotions. During this time, 34 cases resulted in one or more promotions being amended or withdrawn through our interaction with firms. See the infographic below. We have significant experience in reviewing marketing material within the financial sector and have helped companies to promote financial products in the UK. 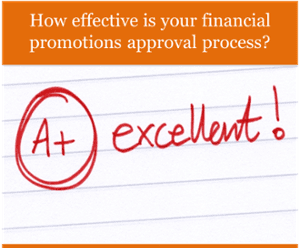 Find our more about our Financial Promotion Reviews or Contact us. An update on the Consumer Credit authorisations process so far. If you want an instant assessment of your current performance, you can take Perivan Solutions 10-question Financial Promotions Risk Grader to benchmark your compliance against best practice. You can take the risk grader here.